The Mayor’s Alliance for NYC’s Animals, Bideawee, and Triumph Books celebrated the first National Tabby Day on April 30 with a cat adoption and book signing event. 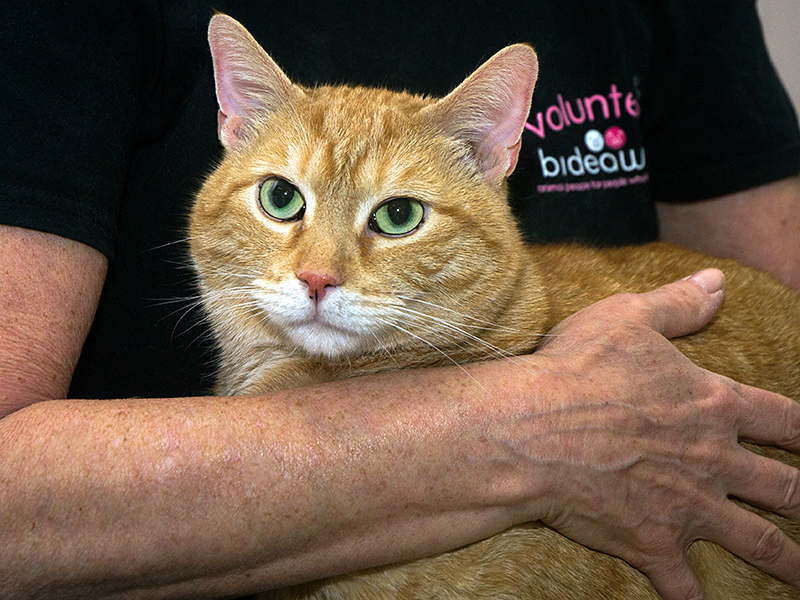 Saturday, April 30, 2016 – New York, NY – Adorable cats and kittens were in search of forever families today at a special cat adoption event in honor of the first National Tabby Day. The event, hosted by the Mayor’s Alliance for NYC’s Animals, Bideawee, and Triumph Books, took place at Bideawee in Manhattan. “We are thrilled to be celebrating National Tabby Day, the adoption of homeless cats and kittens, and a book that brings to life a four-legged friend. We thank our partners Bideawee, Triumph Books, Sandy Robins, and Paul Smulson, as well as those who came out to adopt, for making this important and fun day a success,” said Jane Hoffman, President of the Alliance. 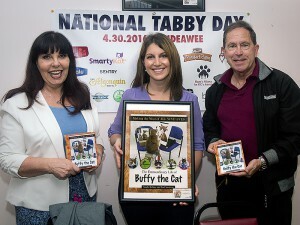 National Tabby Day is sponsored by the industry’s finest feline staples. Gold-level event sponsors included Worldwise’s SmartyKat and Petlinks lines; Lucy Pet Foundation; Merrick Pet Care’s Purrfect Bistro line; Loving Pets’ Bella line; Petmate; and the Algonquin Hotel. Silver-level event sponsors include Clean Healthy Bowls; PetSafe; Wellness Pet Food; and Perrigo Animal Health. Blaine Bilal, LAK Public Relations, Inc.